For three-quarters of the game, it was a very tight affair with Mousehole pressing the home side and forcing CSM into mistakes in possession but a poor challenge from Tonkin James in the second half temporarily reduced Mouse to ten men (through a sin bin); from then on, the complexion of the match was in CSM’s favour. CSM started the game in familiar fashion, trying to keep the ball and attack down the wings. The home side could have been ahead within the opening 10 minutes of the match with Nichols being played in one and one with the Mousehole keeper who made himself big to block the effort. 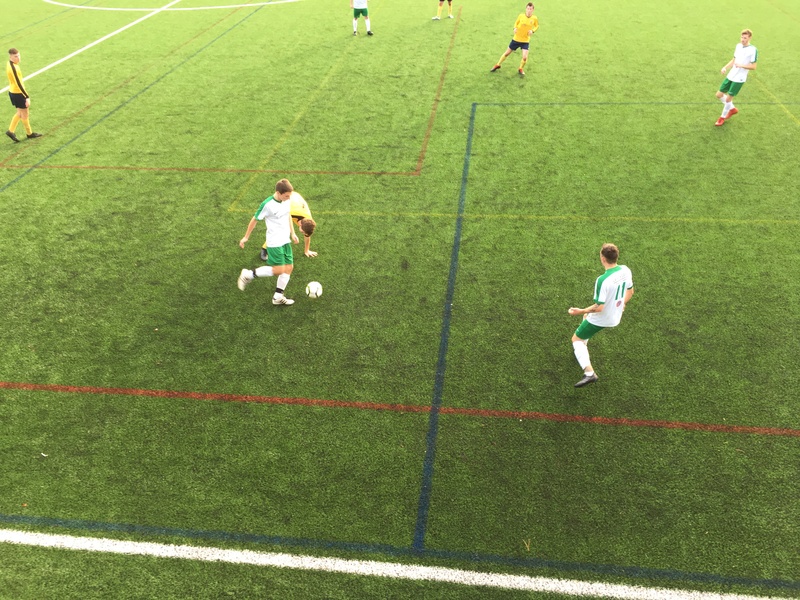 It didn’t take the home side long to create another goalscoring chance, as a CSM attacker was played in over the Mousehole defence, but his touch let him down and the ball bounced out of play. The away sides keeper was called into action again with a brilliant double save to further frustrate CSM. 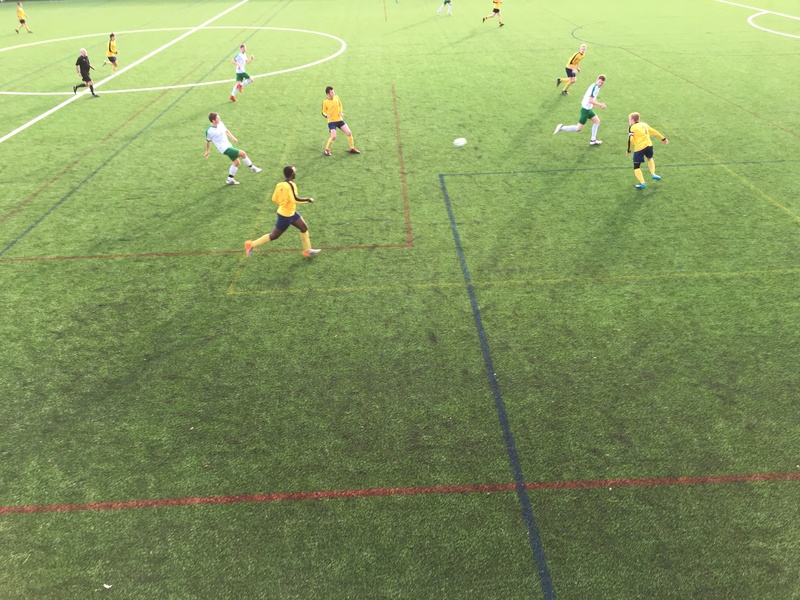 Mousehole’s first clear-cut chance took 39 minutes to create, with their pressing game resulting in a blocked shot from the CSM defence before a second Mouse player scuffed the second attempt wide. CSM ended the first half on the front foot as a free kick whipped into the penalty area was headed over the bar while a 45-minute corner almost caught the mouse goalkeeper out, with a failed an attempt to catch the ball. CSM continued their run of failing to score in the first half of any league game this season. The away side improved considerably in the second half and with better touches, could’ve been in on goal twice. It took the home side 15 minutes to get back to their best with a low cross into the penalty area finding Ethan Nichols who skies what should have been a tap-in. The miss was almost punished with the away sides cross hitting the top of the crossbar. A few minutes later and Mouse were having their best spell of the game (pressing well and creating chances) as a corner forced CSM into some last-ditch defending, blocking two attempted shots at goal and a promising attack breaking down with a weak strike from a mousehole player. The game changed in CSM’s favour under 30 minutes into the second half. A poor lunging tackle from Tonkin James resulted in a sin bin ( a temporary dismissal). After what was a strong second-half display from Mouse, CSM were able to take control of proceedings for the remainder of the game. 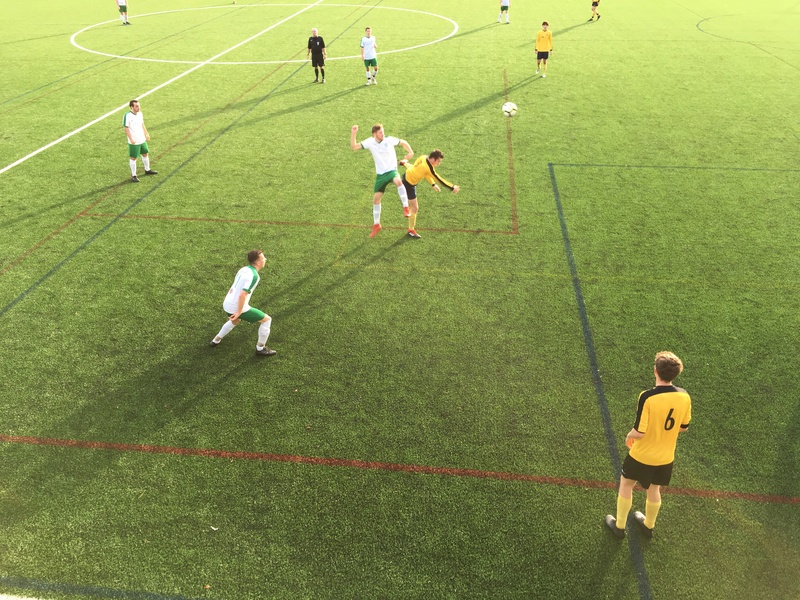 CSM took the lead within minutes of the incident after Mousehole’s keeper rushed out of his penalty area to leave the prolific Ethan Nichols with the simple task of striking the ball into the empty net. CSM kept the pressure up and were rewarded again as Ethan (with his second of the game) struck what turned out to be the winner with a powerful, low shot, beating the Mousehole reserves keeper. The referee’s busy afternoon continued with tackles flying in and managers protesting decisions. 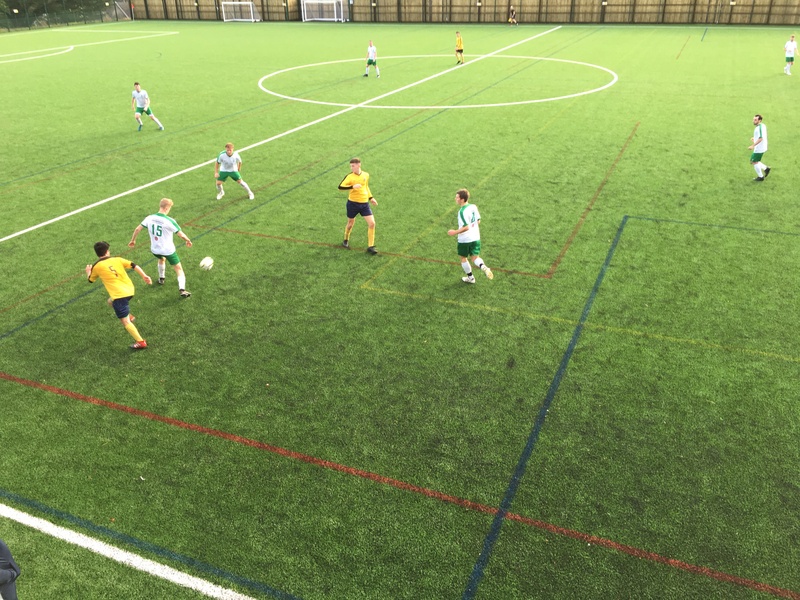 The match concluded with the away side scoring a consolation (after CSM lost their concentration) but 2-1 was enough to give CSM the victory and maintain their unbeaten start to the season.